**** Chosen by Winner: Douglas Y.
Sleek, nimble, and fast are all great words to describe the Kizer Sealion. Featuring an Uli Hennicke design, the Sealion Flipper Folder was made for quick on-hand opening and comfort in hand. The ergonomic titanium handle is contoured for the perfect grip with milled grooves near the blade for added style. 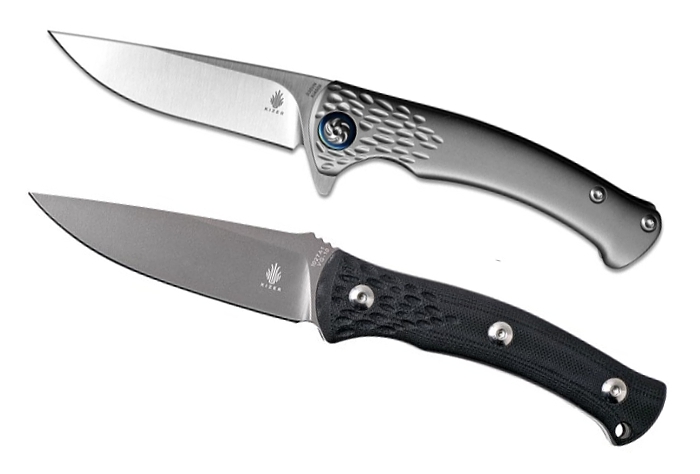 It has an CPM-S35VN steel blade that flows naturally from the handle adding a nice finishing touch to the design. The Sealion includes a matching milled titanium pocket clip. Precision and quality define the Kizer line-up. Since we made our entry into the knife market, our products, paired with our commitment to Passion, Pride and Performance have allowed us to meet users from all walks of life and bring innovations to cater to drastically different needs. A Kizer is an everyday-carry precision tool ready to tame any tasks at hand. Whether you need to discover the content of a box or blister-packaging; perform camping work on a fishing trip; even brave a tactical situation where the equipment simply cannot fail, Kizer is there for you. Ready, Willing, and Able. As we continue to serve the ever-growing spectrums of the knife market, we believe no matter what your preferences and needs are, you will find a design in these pages that speaks to your heart and serves your needs. You can count on Kizer Cutlery’s elite designers, state-of-the-art production technology and selection of premium materials. When you carry a Kizer, the quality and innovative designs will bring you that genuine pride of ownership and peace of mind.